Buying the wrong grass trimmer can leave holes in your lawn as well as in your pocket, so Which? 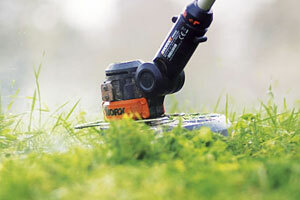 Gardening has made it simpler to choose the right grass trimmer for your garden. Some grass trimmers are designed to be used for light tasks around the garden, such as edging the lawn, tidying up around the path and cutting short grass in areas that the mower can’t reach, such as close to the fence or around garden furniture. Others are made for bigger, rougher jobs such as cutting down a meadow or whacking through tough weeds. Some grass trimmers sit in the middle and can manage to do a bit of all these jobs reasonably well. Find out which grass trimmer is best for you by looking at our grass trimmer reviews and using the filters to find the right kind of grass trimmer. We looked back through all 71 grass trimmers we’ve tested over the last five years and sorted them into three categories: lawn edgers; heavy-duty grass trimmers; and general-purpose grass trimmers. We did this by looking closely at how well each grass trimmer coped in each of our tests, and where they excelled or failed to impress. Those that excelled at edging the lawn but didn’t have the power to cope with long grass and weeds have been classified as lawn edgers. Those that could do a bit of everything we have called general-purpose grass trimmers. Those that are too powerful for delicate jobs like edging the lawn, but are perfect for swathing through long grass and tough weeds are classed as heavy-duty grass trimmers. If you’re not sure which kind of grass trimmer will be right for you, read our advice on how to buy the best grass trimmer, which will guide you through to finding the best grass trimmer for your needs. We’ve just tested 17 new grass trimmers, with a good mix of lawn edgers, general-purpose grass trimmers and heavy-duty grass trimmers among them. Several turned out to be Best Buy grass trimmers. Log in to find out which made the grade.